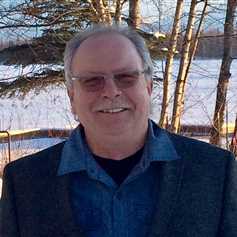 Brian Lansdale is a passionate, dedicated and thriving entrepreneur from Wasilla, Alaska with an extensive background in Sales, Business Management and Real Estate, having worked at a dealership for more than three decades while also managing his own business for more than 14 years. While working at the dealership, Brian learnt the ropes of the trade; taking time to understand the dynamics of running a successful businesses while also ensuring excellent customer service delivery. Subsequently, these accumulated experiences have lead to a very large extent, exert positive influence on his real estate business which has been recording huge successes since its take-off over 25 years ago. He is highly skilled at understanding the unique needs and meeting the demands of his many clients by strategically keeping them involved in the process, shedding light on grey areas and helping them make the best choice. Brian Lansdale has been described by many as a caring, approachable, confident and highly professional individual who prides himself in helping other people live and lead better lives. In his business, he has been a member of the local chamber for a reasonable number of years while also contributing to charitable causes and school functions. Brain is a recipient of the Alaska State Tech of the Year award. He attended trade school and has been a ASE Certified Master Tech for more than 35 years.